The Joint Admissions and Matriculation Board has revealed that it is releasing 1.3 million results of UTME candidates today. A report by Punch Metro has shown that the Joint Admissions and Matriculation Board has said it will release no fewer than 1.3 million results of candidates that sat for the 2018 Unified Tertiary Matriculation Examination on Monday (today) after they had gone through security checks and found to be without malpractice. 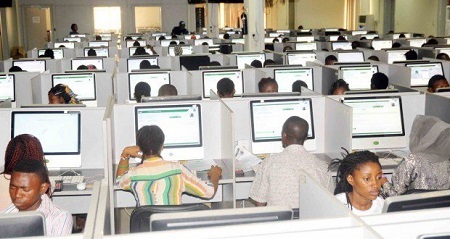 The JAMB Head of Information, Dr. Fabian Benjamin, who stated this on Sunday in an interview with Punch Metro, added that the UTME results of Computer-Based Test centres where the CCTV showed malpractices had been cancelled.